— BBQ cookoff will not be part of the Barrington Harvest Festival this year. — Barrington pre-kindergarten has space available. — Free end-of-summer celebration for kids and families coming Aug. 29 at Wish Upon a Star Park. 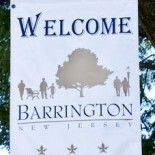 This entry was posted on August 20, 2012 by Barrington Bulletin in Uncategorized.